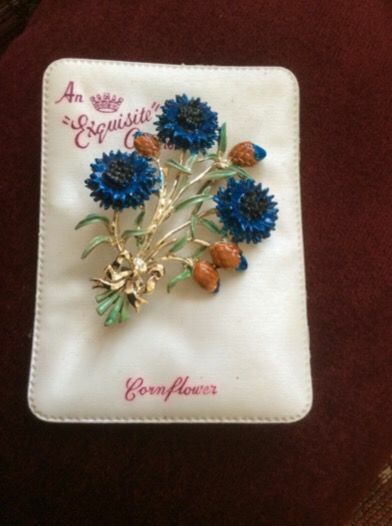 In Mint condition and supplied on it's original padded plastic display card we have the Cornflower brooch from Exquisite.This is a cold enamel Cornflower pin by Exquisite Jewellery Ltd., of Solihull, Warwickshire, England. 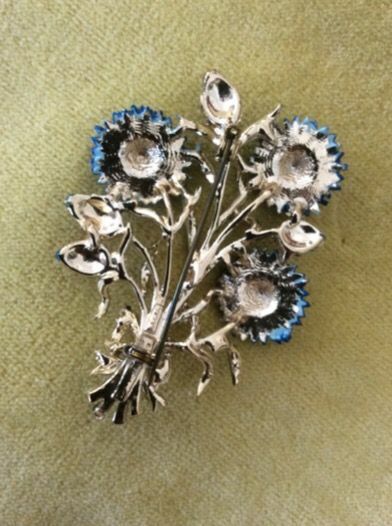 It was one of their range of Birthday Flower Brooches introduced and extremely popular during the 1960's. 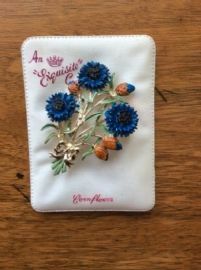 These pins came in two sizes with a flower for every month of the year! This is the larger sized one! 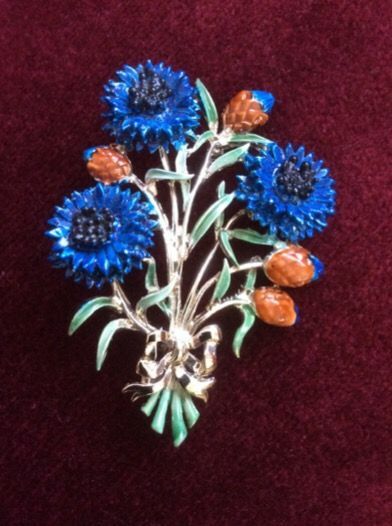 The Company also had a range of Leaf pins and matching earrings, as well as many other lines in quality costume jewellery. 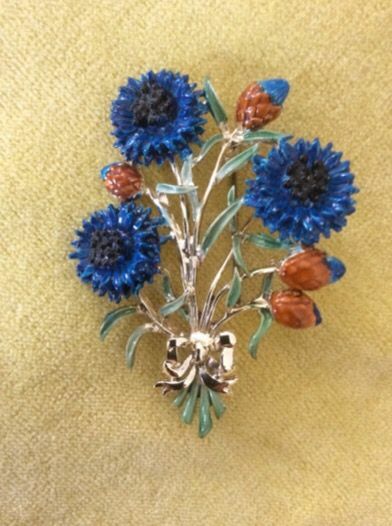 The Cornflower Brooch is the pin for September. It has a silvery gold tone finish and has the classic "bow" tied around the bunch of flowers which features on all these designer pins. It is in as new conditon with lovely naturalistic blue and black flower heads, neat brown buds with blue tips and smatterings of green on the leaves and stem. What a great gift for anyone who has a September Birthday or just because you like it! Approximate measurements are 6.5cms (2.5ins) by 5 cms (2 ins). This item fastens with a rollover type clasp. Apologies, THIS ITEM IS SOLD.